Google began testing a format in the local knowledge panel back in 2015 that would allow searchers to book an appointment. 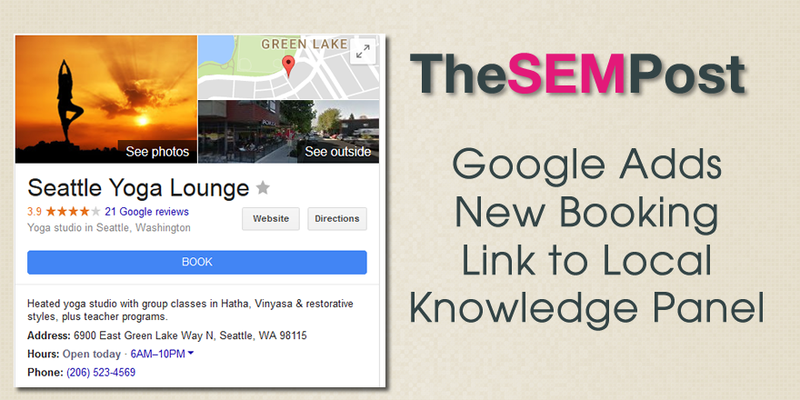 Google has a new version they are now displaying in the knowledge panel that is much more prominent to searchers and likely will lead to an increase in bookings. There are two versions Google is testing. The first version allows those who are logged into their Google account to book directly. For those who are not logged into a Google account, you do not get an option to book directly. Instead, the box prompts you to view the schedule instead. This does seem to be available to all searchers, and not a test.